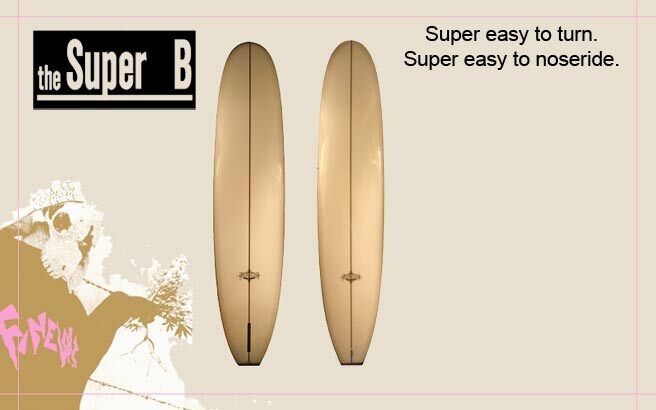 soft 50/50 rail gives it the trim you expect from a single fin. A flow-thru concave cuts through a subtle anti-pearl nose kick for stable and adjustable noserides. Available from 9’4 to 10’0. or Velzy at 10” rule for the nose.